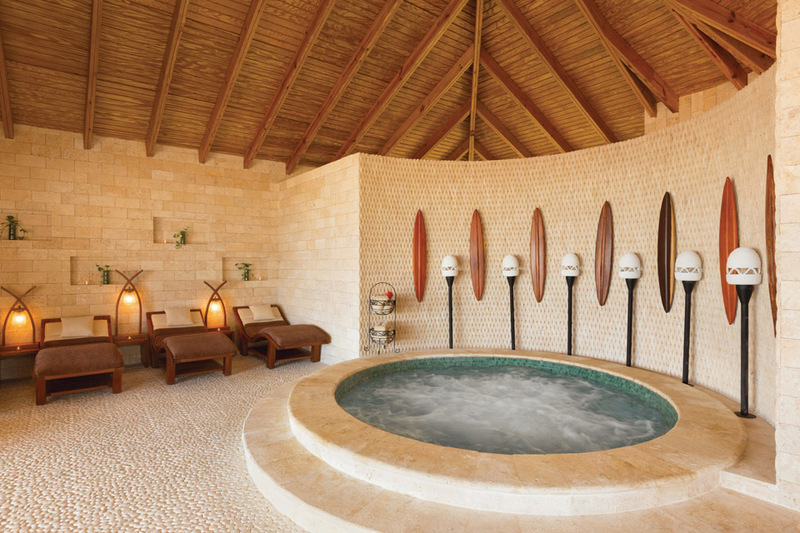 Pamper yourself with a vacation that truly fits the definition of relaxation. This hip Jamaican resort boasts unlimited fine dining at 15 restaurants and three unique sections. The exclusive all-butler village with private and semi-private pools offers seclusion, tucked away in the hillside of the St. Ann Mountains. The Riviera Seaside section overlooks the white sand beach where guests can enjoy watersports, unwinding on a hammock, and admiring the stunning views. For members only, the Ochi Beach Club features beach parties, an over-the-water promenade, and cool Overlook Treehouse, the ultimate hideaway. 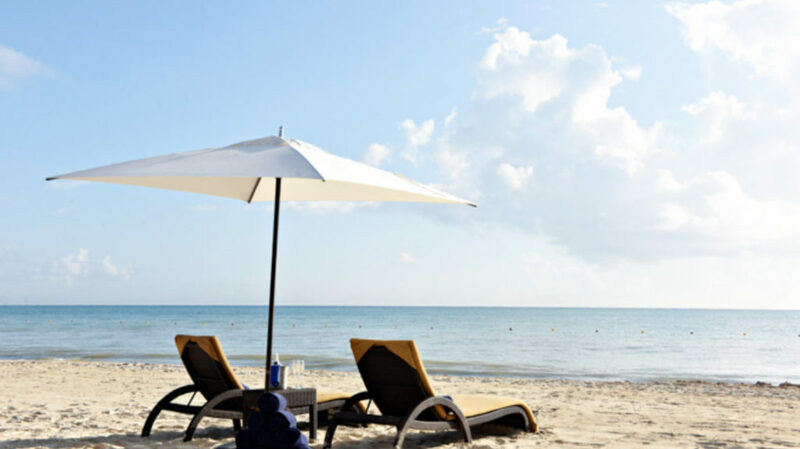 A classic Mediterranean-style resort, the Excellence Riviera Cancun is situated on a sugar white beach. During your stay, delight in the six winding pools, eight international restaurants, and close proximity to the ancient Mayan world and the vibrant Playa del Carmen. Whether you prefer an afternoon snorkel or siesta, this elegant Mayan Riviera hotel has plenty of opportunities for leisure activities and relaxation. Located on Punta Cana’s famous Bavaro Beach, the turquoise waters, white sands, and surrounding palm trees give this resort its tropical paradise status. 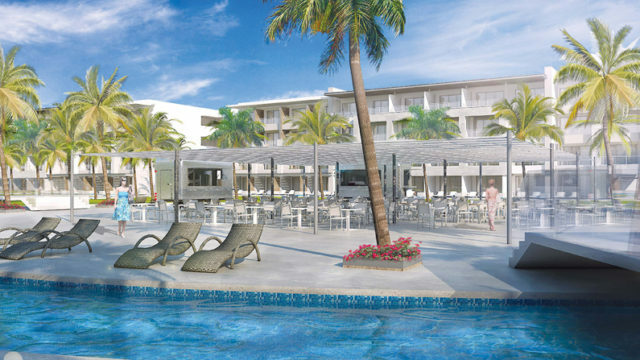 When you stay at the Catalonia Royal Bavaro, you can also enjoy the facilities of the Catalonia Punta Cana. 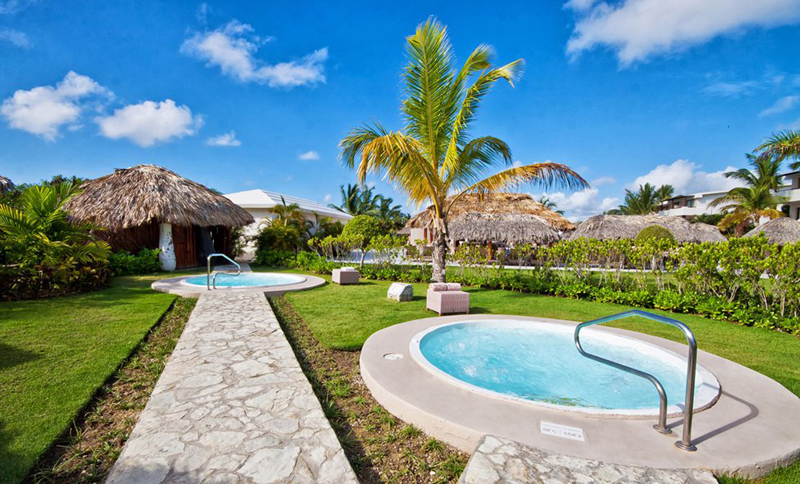 With a crepperia, pizzeria, dreamlike swimming pools, recreational options, beautiful suites, and extreme attention to detail, Catalonia Royal Bavaro provides a serene setting for an all-inclusive vacation. You can’t get any more exclusive than Sandals Royal Bahamian, once host to The Beatles and 40s royalty, the Duke and Duchess of Windsor. The resort even has its own private island, accessible in minutes by kayak or sailboat. On this offshore island adventure, experience two secluded beaches, a pool, whirlpool swim-up bar, seafood house, private cabanas with fire pit seating, and stylish parties. Enjoy seclusion in Punta Cana: the Alsol Tiara Cap Cana is in the heart of the Cap Cana Marina, on a secluded private beach. 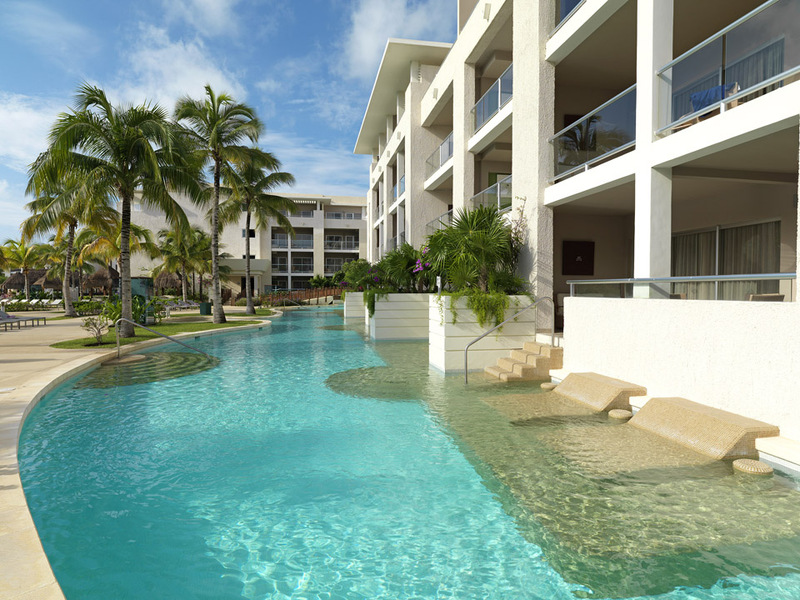 Featuring 115 spacious suites, this perfect Punta Cana destination is like no other. The area is renowned for its fishing and nearby to one of the best golf courses in the Caribbean. There’s something for every traveller at the AlSol Tiara Cap Cana, whether you’re looking for that luxury resort feel in the accommodations, outdoor activities, high quality restaurants or world-class spa. Choose from 6 room categories, all featuring gorgeous rooms, all designed with your complete privacy and personal needs in mind. An adults-only vacation here is truly luxurious with 3 themed restaurants, six bars, a deli café, and daily activities including wine tasting and cooking lessons. Sit back, relax, and enjoy those ocean views. This property in Cancun, Mexico is a hotel within a hotel. The 340-suite boutique resort, just a 15-minute drive from the airport, features unlimited dining without reservations and an exclusive adult-only pool, restaurant, and bar. Guests of The Hideaway can also enjoy access to all of the Royalton Riviera Cancun’s amenities, which are open to families, including the dining, bars, activities, and health and wellness activities. This resort is a perfect option for the traveller looking to enjoy the amenities and activities of a bigger resort, while still enjoying the luxurious feel of an adults-only vacation and smaller boutique style stay. The Hideaway boasts their all-in luxury ideal, with more inclusions than you’d expect. Enjoy an all-inclusive vacation, Jamaican-style. 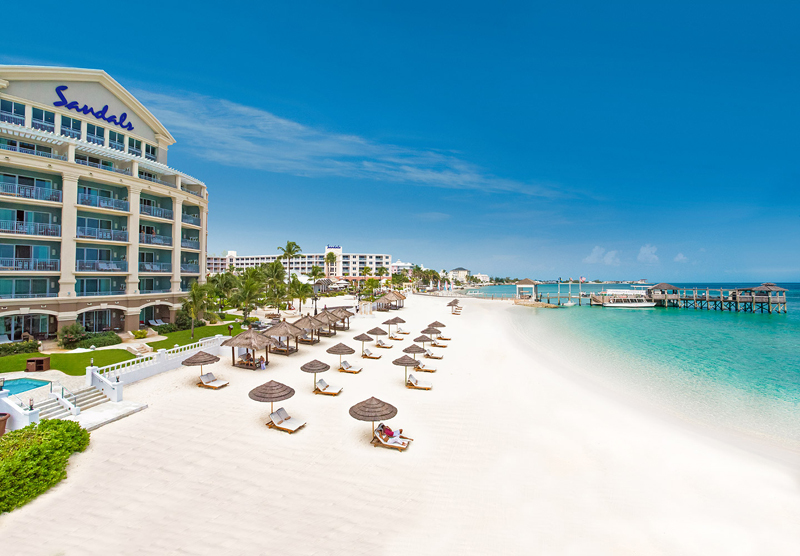 This Montego Bay resort is two neighbouring options: the adults-only Hyatt Zilara Rose Hall and the family-friendly Hyatt Ziva Rose Hall. These popular options will leave everyone feeling like they’re treated special – even the kids. On the Hyatt Zilara side, enjoy beach butler service, the Zen Spa, nightly live entertainment, or special add-ons like couples massage on the beach, adults-only pool, and activities and games both in the water and on land. The resort atmosphere is classy and sleek: modern furniture and designs, and a clean and well-kept area throughout leaves this resort top-notch and a true luxury all-inclusive vacation. 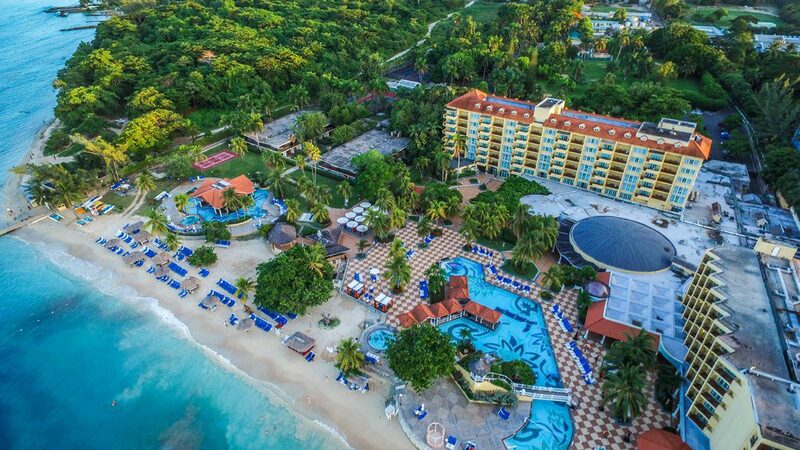 If a name with Jewel in it doesn’t say enough, this adults-only resort in Ocho Rios has everything you could need for a luxury all-inclusive vacation. Enjoy spectacular service, gorgeous beaches, all-inclusive meal plans, and spacious guestrooms and suites. 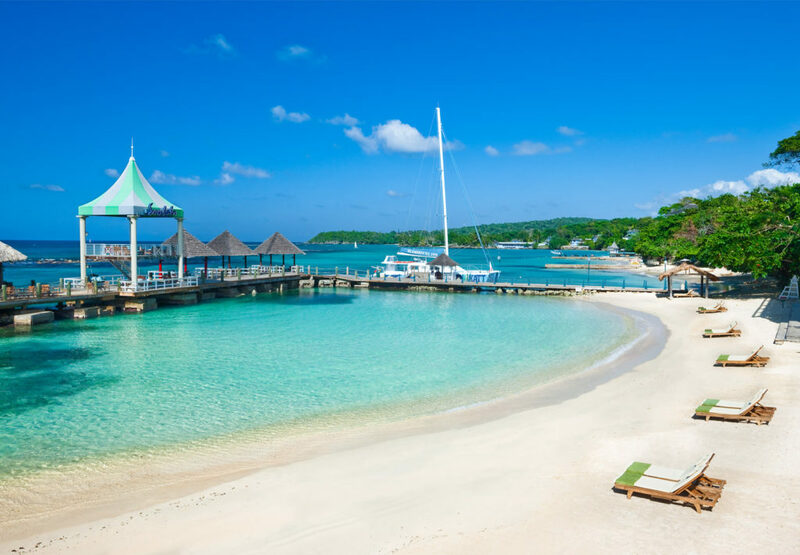 Enjoy Jamaica’s famous white-sand beaches, partnered with the modernity of this resort for photos you’ll look at again and again. Six bars, including a jazz bar, and six restaurants await here. This tropical destination will make your most romantic dreams come true. 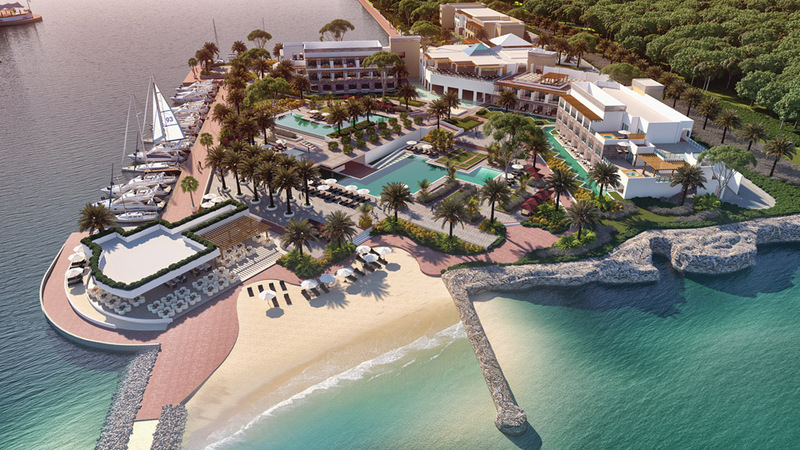 Your stay at the Iberostar Grand Paraiso will be like no other all-inclusive vacation experience. You can do anything here. 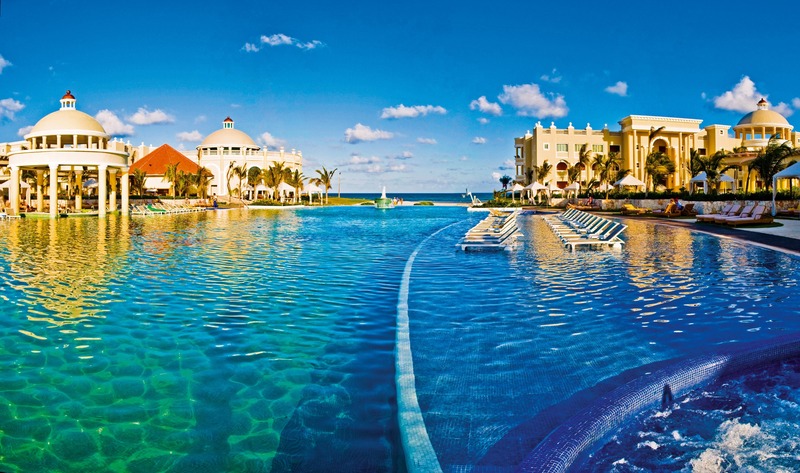 The Iberostar Grand Paraiso is an adults-only resort, offering luxury and comfort to all. 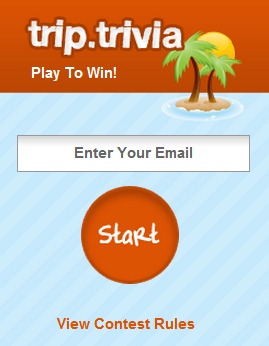 Enjoy the best in food and drinks, a multitude of activities, and a beach more serene than you can imagine. With 3 pools, this luxury resort is a dream come true: combine relaxation with beach parties and exquisite service for a luxurious stay. The Iberostar Grand collection offers fully equipped honeymoon suites and a commitment to the best in service. For an even more relaxing trip, enjoy the Paradise Beach Resort Spa for a range of treatments and massages, including Turkish and Roman baths. The luxury all-inclusive Paradisus la Esmeralda is just 45 minutes from the Cancun airport, making it an accessible destination for your Mexico vacation. Enjoy world class amenities here, including a Family Concierge, YHI spa treatments, meeting spaces with state-of-the-art equipment, and accommodations with modern décor. With a nearby golf course, tequila tasting workshops, scuba and snorkeling lessons, and more, you’ll find something to do to keep you busy – but still relax enough to enjoy your luxury vacation. With 3 pools, 14 restaurants, and 10 bars, there are plenty of options for a well-rounded vacation. 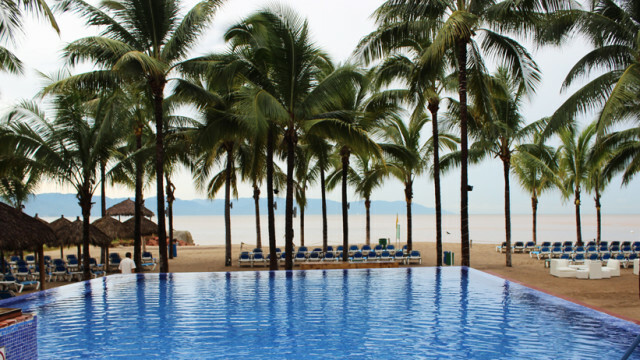 This luxury resort is a great option for the whole family. Your all-inclusive paradise awaits. If you’re looking for more luxury vacations options, trip matchmaker filters through resorts to find you a true 5-star rating and luxury appeal at the best price. Special Thanks for a Great Summer!